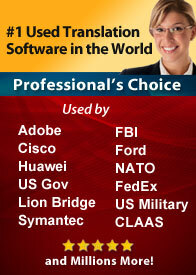 SYSTRAN has been the translation technology leader for over 40 years. EADS / Airbus Group is a global pioneer in aeronautics, space and defence related services, creating cutting-edge technology. Recently EADS has been re-branded as Airbus Group in January 2014. The company manufactures Airbus, Eurocopter, the world's largest helicopter supplier, EADS Astrium, the European leader in space programs from Ariane to Galileo and MBDA, the international leader in missile systems. 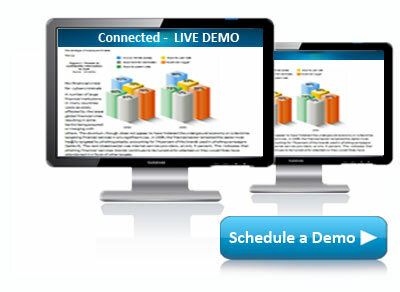 EADS uses SYSTRAN Enterprise on its Intranet. MBDA ensures the continuous enrichment of the automated translation tool. Symantec, a Fortune 500 company, has evolved into one of the world's largest software companies with over 18,500 employees worldwide. As a leader in security, storage and systems management solutions, the need for accurate multilingual communication is essential. The company helps customers protect their infrastructure, information, and interactions by delivering software and services that address risks to security, availability, compliance, and performance. Symantec has operations in 40 countries and continues to expand into more international markets. 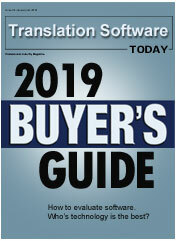 Ford Motor Co. has deployed translation software and reduced translation costs significantly. Ford has thousands of employees worldwide, with manufacturing facilities in Germany, Spain, Belgium, Mexico, and Brazil, where workers assemble vehicles using instructions in their local language. All of the instruction manuals were originally developed in the United States in English. A single car line can have assembly instructions with as many as 300,000 sentences. For such a large translation task, automated translation software is the only cost effective solution. Lincolnshire, located on the East Coast of England is the UK’s fourth largest county. Just a few thousand pounds per year to fully address our translation needs and provide a multi-lingual communication is amazing value. To date, the accuracy of transaltion results has been good. We were never naïve enough to believe that our pages would be as fluent or literal as a human translator, but if visitors understand enough of the web content to get a flavor of its meaning, then there can be no argument for not using it. Europe’s second-largest car manufacturer has commercial operations in over 160 countries with over 209,000 staff that are employed outside their primary country of operations (France). The company needed a tool that would allow employees to understand foreign language documents such as PowerPoint, Word, Excel, PDF, email and other communication. The Cinématique Gaumont is a famous French film library offering the largest range of French language newsreel and other film holdings of its kind. Gaumont has been able to substantially grow its market for newsreel film archive users by combining the ease of access afforded by an online database with the communicative effectiveness of SYSTRAN’s Machine Translation technology. Yamagata Europe is a document solutions company that has been providing Honda Motor Europe Ltd with translation services for years. Honda asked Yamagata to build a translation solution able to quickly translate database content into English. From a technological standpoint, Honda considered that Automatic Translation Software was a must for this project. SYSTRAN is being used to speed up productivity for the semi-automatic translation workflow process. Symantec is focused and steady in its roadmap for multilingual communications that strengthen customer relationships. The company’s infrastructure view of global content value, an impressive and visionary operational champion, and investment in the innovative application of technology such as machine translation surely positions them for continued success. Use and Cost Savings: Based on the success of an initial deployment in Spain, other countries were added one at a time by customizing the system for each new language and adding authenticated access for the users in that country. Results: As with most deployments of machine translation, PwC found the main benefit for users to be understanding the gist of documents in a language they do not speak well. The following uses have been identified to date. Avon & Somerset Constabulary is the Home Office police force in England responsible for policing the county of Somerset and the districts of South Gloucestershire, Bristol, North Somerset & Bath and North East Somerset. The force, providing service for 1.5 million people, is one of the largest in England. It’s a very cost effective solution. We have had good feedback with regards to community policing, it has really helped the force. We know it's difficult to make a purchase decision without seeing how it works. Usually you download demos but you have to learn the software before you can use it properly. Let us help you take a test drive. We can instantly share our desktop and let you watch as we perform the translation tasks.